In addition to the cotton yarn, the only other supplies were a zipper for the accessories bag and some filling for the sachets. Both are fun and quick projects to enjoy for yourself or to give as gifts. More importantly, projects like these help build your skills and confidence so you can take on the projects you’ve been wanting to make. 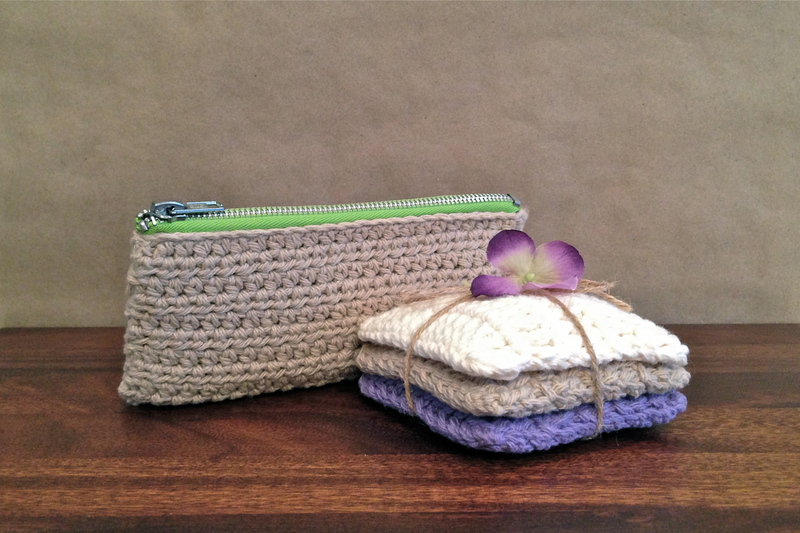 The stitches and techniques you learn in the “Crochet Basics” and “Knitting Basics” classes easily translate to any type of project, such as a baby blanket or throw, simply by adjusting your stitch count and selecting a different yarn. Click on my “Calendar” page to see class dates and times, and check my “Projects” page and previous blog entry for more information about the “Basics” classes. Join us in March to learn the “Basics” and be on your way to developing strong skills to enjoy your craft!